In July 2012, a spate of warm weather caused nearly the entire surface of the Greenland ice sheet to begin melting, an event with no precedent in the satellite record. A new study shows this massive melt-out wasn’t just an anomaly compared with the last 40 years, but the last 350. Unfortunately, the study also suggests 2012 could be a harbinger of our new normal. Published today in Nature, the research finds that rates of melting at Greenland’s surface have skyrocketed in recent decades and are now far out of bounds of what was considered natural variability over the last few centuries. The rapid rise in surface melting over the last two decades in particular suggests a ‘non-linear’ response to rising temperatures, meaning as global warming progresses this melting could greatly accelerate, contributing more and more to rising sea levels. “The real take home message is it’s just in the last two decades we’ve seen this unprecedented increase in runoff,” Sarah Das, a glaciologist at Woods Hole Oceanographic Institution and co-author on the study, told Gizmodo. Das and her colleagues at Rowan University and elsewhere reached that conclusion by examining three ice cores from central west Greenland, and one from an ice cap off the coast, that contain a history of melt events spanning the past 350 years. 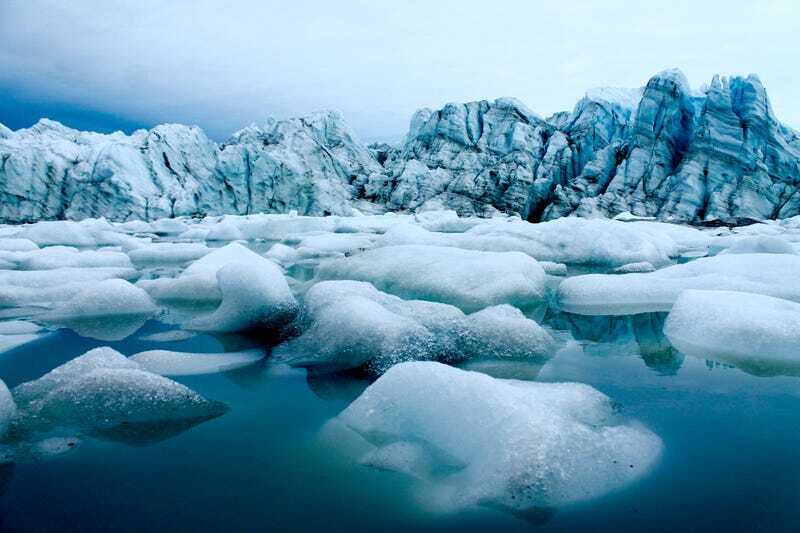 Melting at Greenland’s surface occurs when air temperatures rise above freezing during the summer. At lower elevations, meltwater simply runs off the ice sheet, but at higher elevations some percolates down through porous, compacted snow called firn before refreezing to form layers not unlike the growth layers found in trees. The long-term record the researchers built from these layered ice cores allowed them to spot a slight trend of increased melting across Greenland coinciding with the beginning of modern-day warming in the mid-1800s. But since the 1990s, and particularly in the last decade, that melting has gone “off the charts” Das said. The central west Greenland cores show a 575 percent increase in surface melting in the last 20 years compared with pre-industrial times, while the ice cap core shows a 275 percent increase. From these numbers, the researchers estimated that ice sheet-wide levels of meltwater runoff have jumped 50 percent in the past 20 years compared with pre-industrial times. This study is just the latest indicator that all is not well for the world’s second-largest ice sheet. A 2016 analysis using satellite-derived gravity data found Greenland lost a trillion tonnes of ice between 2011 and 2014. While huge chunks of ice popping off Greenland’s margins get more attention, the steady runoff of water from its surface is currently the largest contributor to Greenland’s rapid slim-down. As a next step, Das would like to collect more cores to expand the surface melt record elsewhere. While the researchers were able to demonstrate their ice core melt record was generally applicable across of Greenland by correlating recent history with satellite records and model predictions, the southeastern margin is one area where an independent core would help verify trends. The clock is ticking to collect those cores. Pretty soon, surface melting could become so intense that these records are simply lost, as is starting to happen on ice caps around Greenland’s margins and elsewhere. “We’re already seeing places where the ice is so melted that we can’t collect records,” Das said.